There is no end to the possibilities when it comes to ways for you to support our work here in Áiseanna Tacaíochta (ÁT). 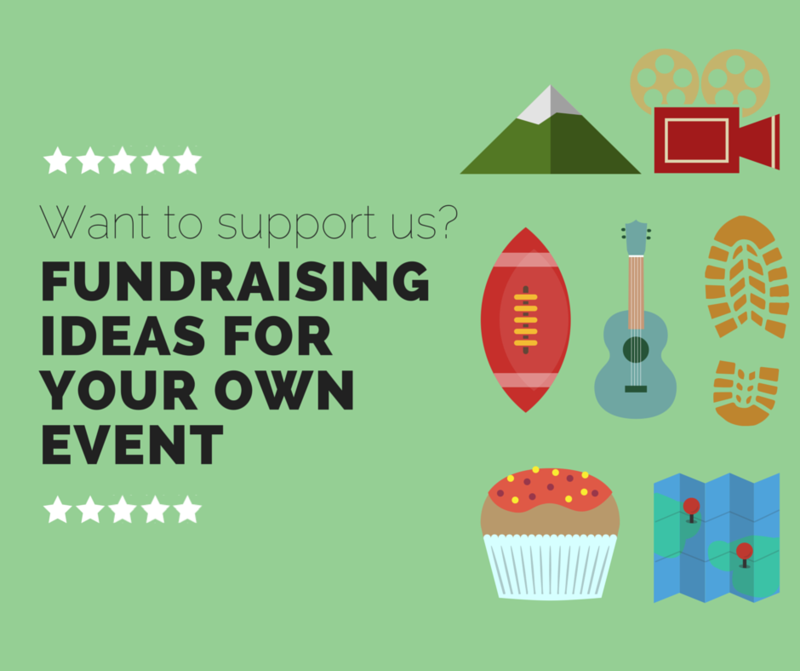 We would love for you to consider fundraising for us: it can be really quick and easy for you to get an event or sponsorship going, and it means you get to have a lot of fun with your friends and family too! Abseiling, afternoon tea, an Airsoft tournament, antique fair, art exhibition or auction. Bake-off, baked bean bath, barbeque, barn dance, Battle of the Bands, beard-shaving, bike races, bog-snorkling, bungee jumping or busking. Cake sale, casino night, Christmas Day swim, cinema screening, coffee morning, colour run, “Come Dine with Me” challenge, comedy night or a concert. Dance marathon, dinner in the dark, a disco or duck race. Early morning rave, Easter Egg hunt, egg and spoon race, or an exercise bike marathon. Fancy dress day, fashion show, a festival, film-themed evening, firewalk, five-a-side tournament, or a fun run. Gala evening, garden party, golf tournament, Great Gatsby party, or a greyhound meeting. Halloween party, head-shaving, or hill-walking. Ice bath, ice-skating challenge, inflatable Sumo Suits challenge, Irish coffee morning, or an Irish dancing challenge. Jazz night or a jumble sale. Karaoke night or a karate challenge. Leg-waxing or a lookalike competition. Mad hair day, marathon or mini-marathon, masque ball, mountain-climbing, murder mystery evening or a music recital. “No Chocolate” challenge or a non-uniform day. Obstacle course, open garden or an orienteering challenge. Paintball challenge, pajama day or a parachute jump. Quidditch tournament or a quiz night. Race night, a rag week or a relay race. Silent disco, skydive, sponsored silence, sports day, a street feast. swap shop or a swimathon. Talent show, tea party, teddy bear’s picnic, tennis tournament, theatre evening, treasure hunt, a trek or a triathlon. Under 18s gig or a unicycle challenge. Valentine’s Day party or vintage fashion evening. Walk, wine-tasting, wine and cheese party, or a World Record beating. Zip-lining, zorbing or a zumbathon. It’s easier than ever to fundraise for us with iDonate.ie. In less than five minutes, you can create your own online fundraising page for whatever event you’re organising, and invite people to donate to ÁT directly through it. This means that you don’t have to worry about collecting, storing or lodging money – you get to focus on the fun stuff! To find out more, just click on the icon below.